Product prices and availability are accurate as of 2019-04-19 21:31:57 UTC and are subject to change. Any price and availability information displayed on http://www.amazon.com/ at the time of purchase will apply to the purchase of this product. 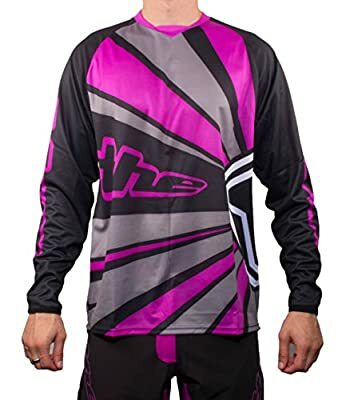 THE Industries Youth Lightweight BMX and Mountain Bike Long Sleeve Rays Jersey is made from a lightweight and breathable fabric that comes together to create a comfortable product without sacrificing durability or protection. No gags or gimmicks, just a simple and affordable MTB and Race jersey. Perfect for the BMX, mountain biking and enduro.